No banh mi or pho here. (SPOT.ph) When it comes to Vietnamese cuisine, it’s either we think of banh mi or the ubiquitous pho. 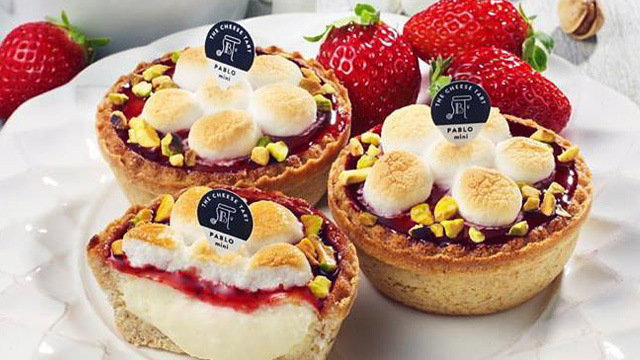 These dishes deviated from their original recipes and adopted unorthodox versions as their popularity spread around the Metro. Now, we see banh mi with Filipino-style tapa and egg, or even pho with Australian Wagyu. This detour is rather inevitable, given that people like putting their own twist on things. Vietnam’s rice dishes, however, are still foreign to the Filipino palate. 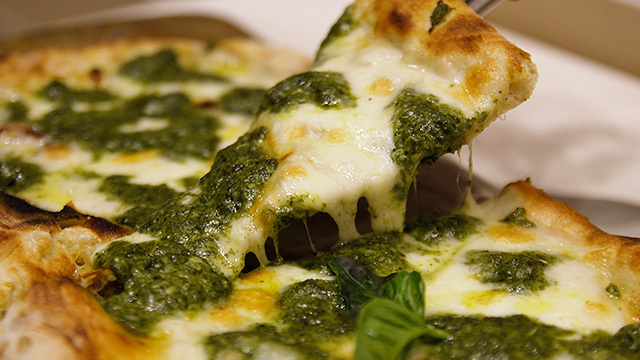 Going back to the basics won’t hurt—after all, it’s time we try something new. From the same founders of banh mi stall BONBanhmi, Dalat Authentic Vietnamese Cuisine ventures into the Southeast Asian country’s less talked-about dishes such as the com tam and bo bit tet. If Hanoi has pho, then Ho Chi Minh has com tam. 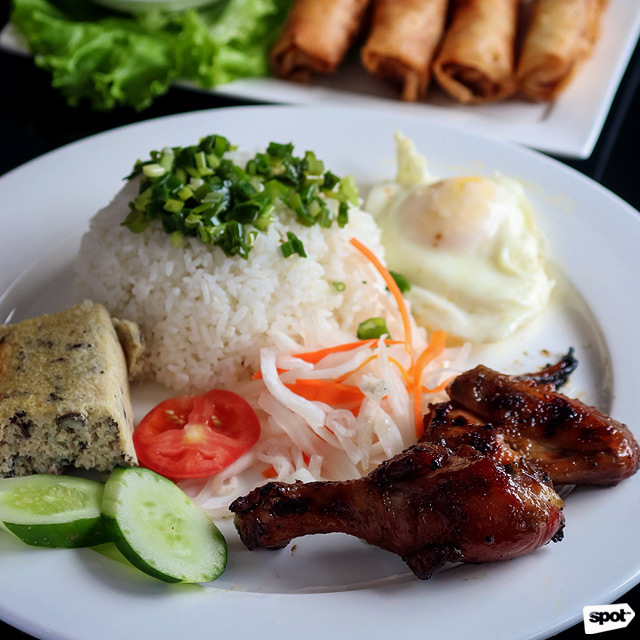 Otherwise known as broken rice, the com tam is one of the region's staple dishes and a favorite among locals. It is commonly served with an assortment of savory and colorful toppings, and is made of leftover and broken rice grains from customary milling methods, hence the name. 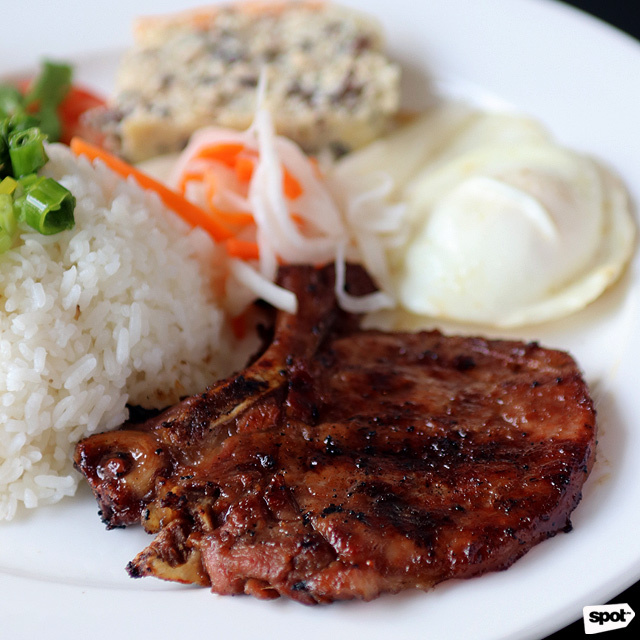 Dalat’s Traditional Grilled Pork Chop (P155) looks like your classic charcoal-cooked chops, but paired with a bunch of side dishes to complement the rich and semi-sweet flavor of the marinade. Meanwhile, the Grilled Chicken Wing N’ Leg (P155) is a good alternative to the aforementioned dish if you’re not a big fan of pork. 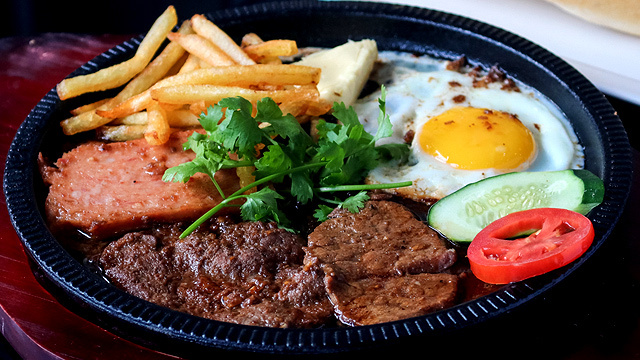 Both com tams are served with fluffy white rice and topped with diced spring onions, trung or a sunny-side-up egg with a perfectly runny yolk, pickled radish and carrots, an egg cake that’s similar to a dense mushroom omelette, and fresh cucumber and tomato slices. Customers also get a small bowl of minced pork and vegetable clear soup with every order. 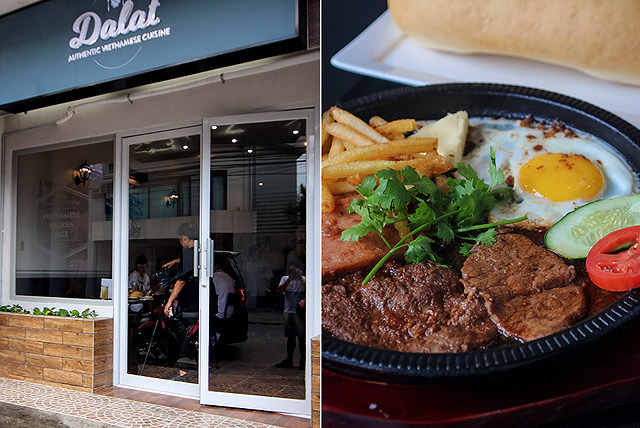 According to Dalat's owner Jay Le, the bo bit tet is typically eaten at breakfast by locals. Although its smoky beef tenderloin is seasoned with special Vietnamese spices, the Vietnamese Beef Steak (P220) will remind you of France’s quintessential steak frites. 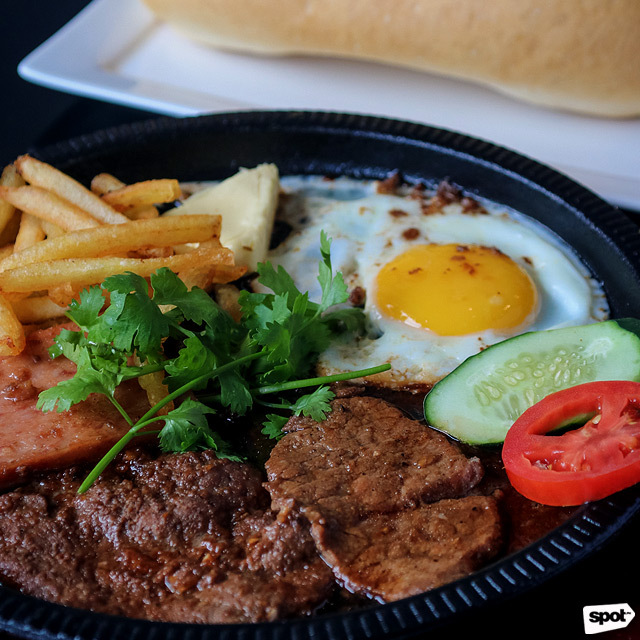 Besides the breakfast steak and fries, one order will let you sample a generous piece of crunchy baguette (made from scratch in their kitchen), a portion of cream cheese, Vietnamese sausage, and fried egg. Laid on a hot cast iron skillet, all of these elements swim in a dark flavorful sauce which you can wipe clean if you have any leftover bread. 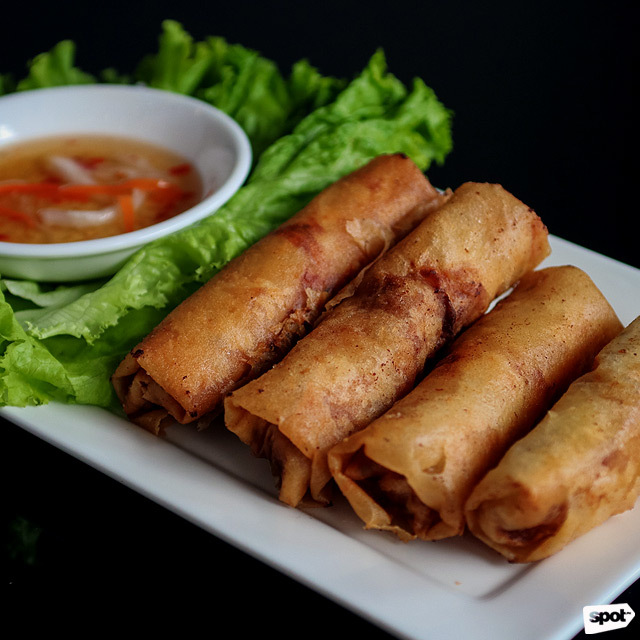 The Cha Ram (P135) or Vietnamese spring rolls can be lackluster if you don’t know how to eat it right: Munch each golden, deep-fried roll with the leafy greens that come with it, then dip it in its special fish sauce. Of course, no Vietnamese restaurant is complete without the timeless Vietnamese Coffee (P99). 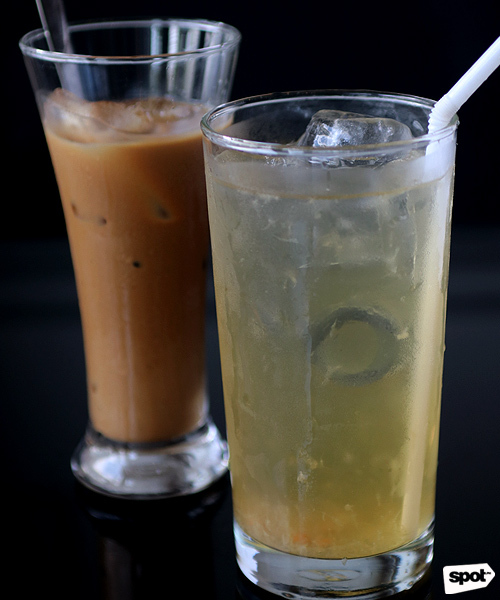 At Dalat, you may either have the robust drink hot or cold. The Salted Lemon Juice (P99) is a Vietnamese "dehydration drink" created with lemons soaked in salt water for over a month. The flavor is simply what it claims to be—lemonade with a distinctly briny taste. “My plan is to serve all of the good food of Vietnam in the Philippines,” Jay says. Dalat is Jay's hometown in Vietnam. Hanging on the restaurant’s walls are a series of black-and-white photos taken in this southern central city also popularly known as the City of Flowers. These little trinkets that may not appear significant to others can mean something greater to Jay and his family and friends who moved to the Philippines. These are perhaps reminders of where they came from, away from the crazy fusion and often-distorted Vietnamese recipes. 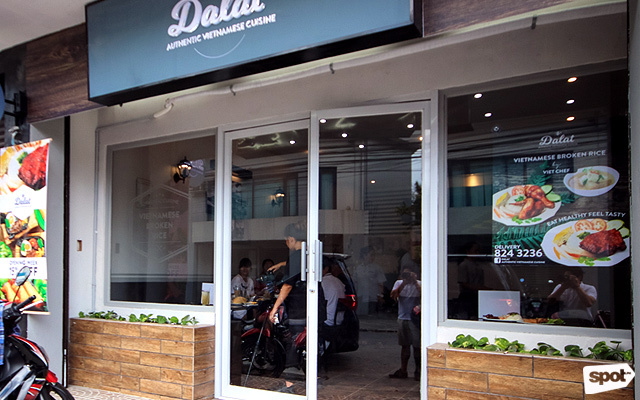 Dalat’s dishes are as authentic as it gets.